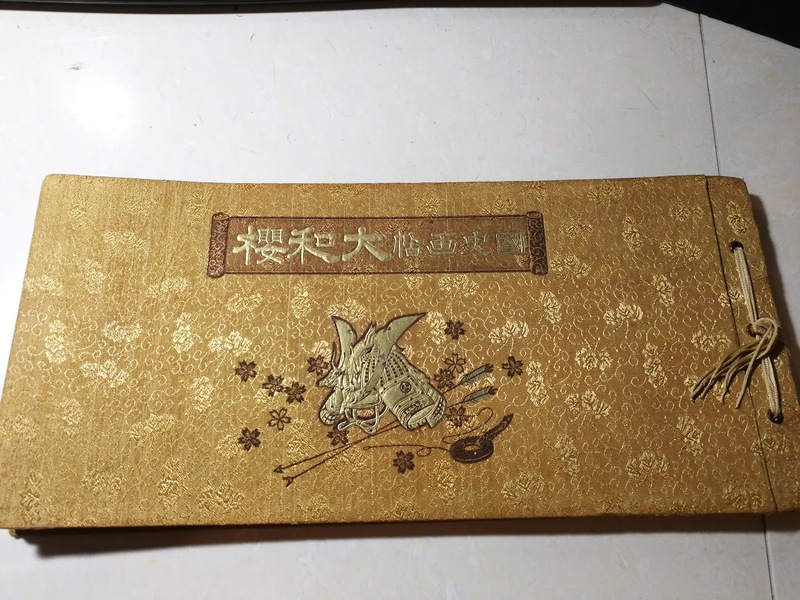 Subject:An old Japanese book on woodblock prints, please help identify. This looks to be prewar book on samurai themed prints. Could you please help me identify the name and publishing date. 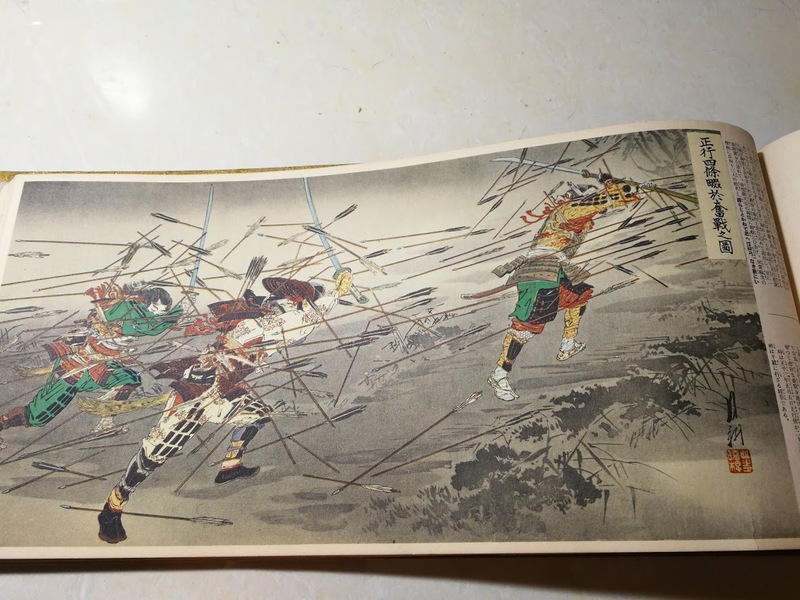 Subject:Re: An old Japanese book on woodblock prints, please help identify. The one print you show is signed by Ogata Gekko. I.Nagy will be able to help you with more information. 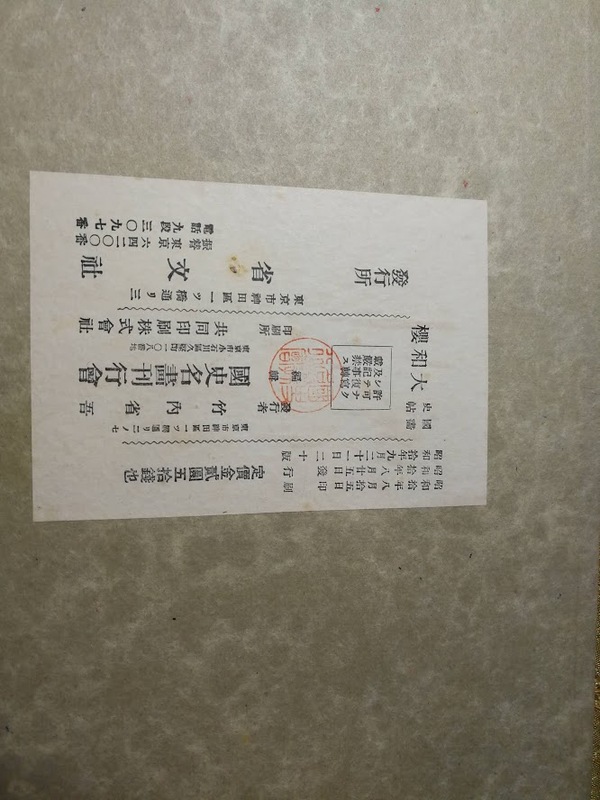 The title reads 'Yamato sakura, Kokushi gajô', (大和櫻 : 國史画帖 - The Rebirth of Japan - Picture album of our Nation's History), published in Tokyo by the Seibun Company, Showa 10 (1935). Japan's history is illustrated on the basis of reproductions of famous Meiji period woodblock tripychs. The one that you show here was designed by Ogata Gekko. Thank you for your kind assistance, very helpful. Looks to be one of the series of war propaganda books.